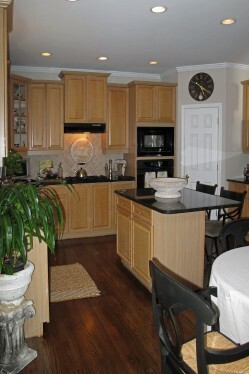 It is a well known fact that investing in a kitchen update yields a high return on the value of your home. 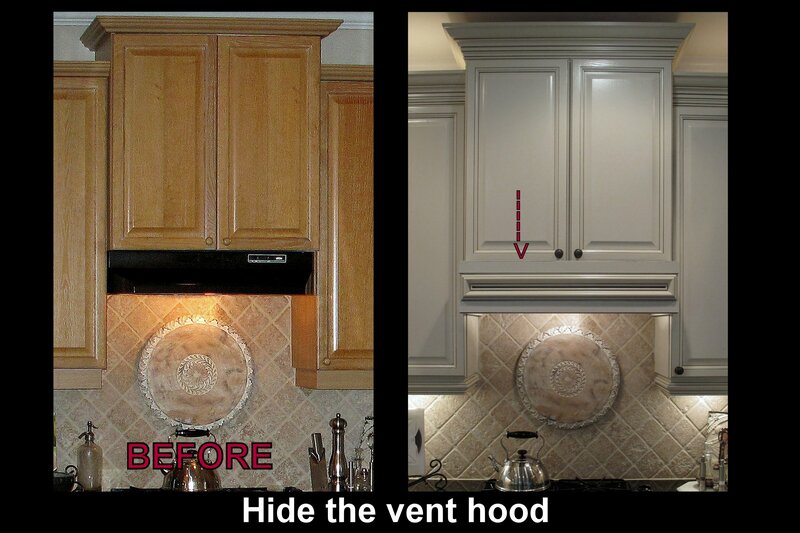 Refinishing your cabinets may be a part of the plan. 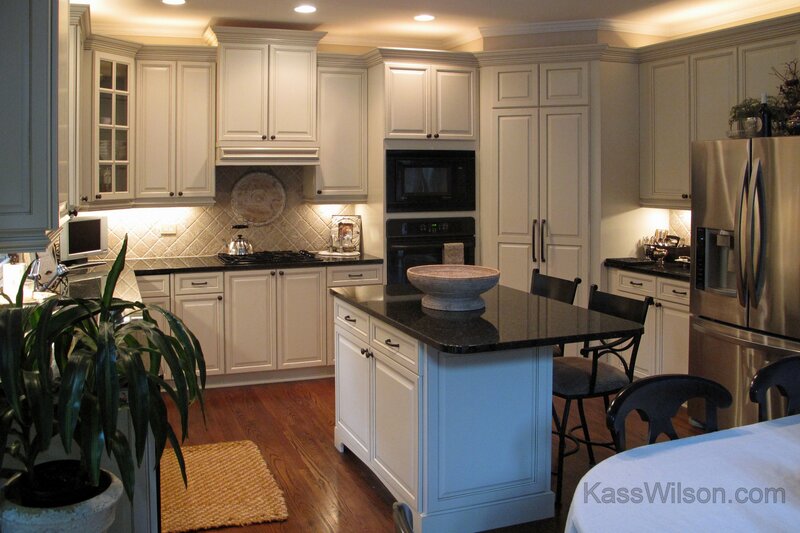 But, this sophisticated kitchen remodel utilizes some clever ideas for kitchen cabinetry that offers more than just a change of color. 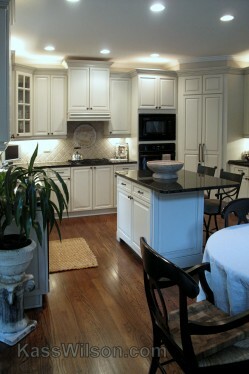 This client’s kitchen functioned well but they had grown tired of the oak cabinetry. 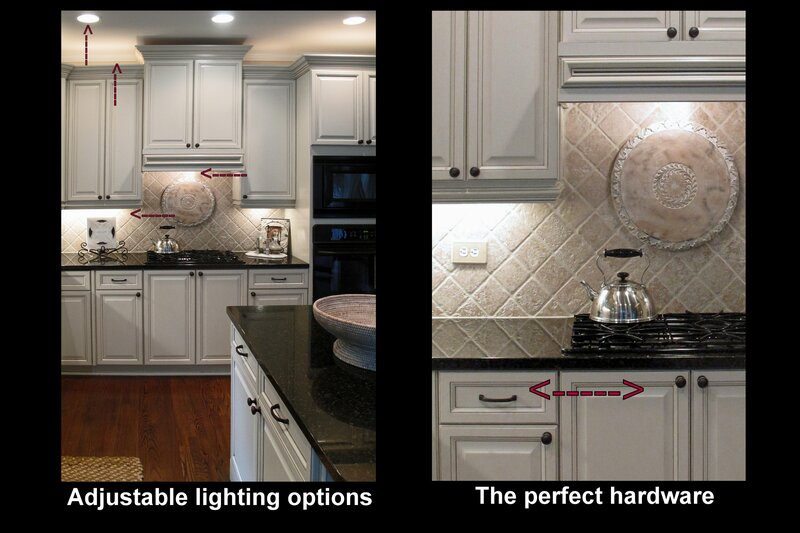 Instead, they wanted a light, bright and sleek look with the impression of a high end custom kitchen. Their sophisticated design style called for a monochromatic color scheme. Completing that feeling included some simple but innovative details. 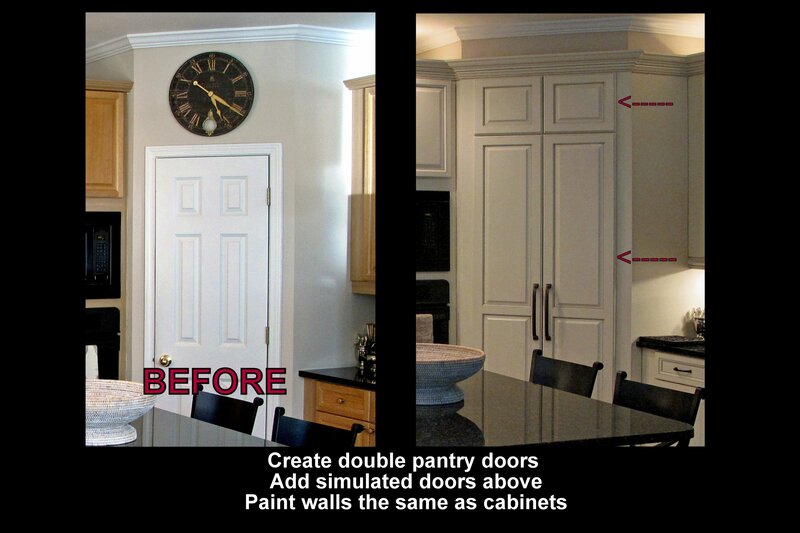 Just prior to painting the kitchen cabinetry, you have the opportunity to change the architecture. 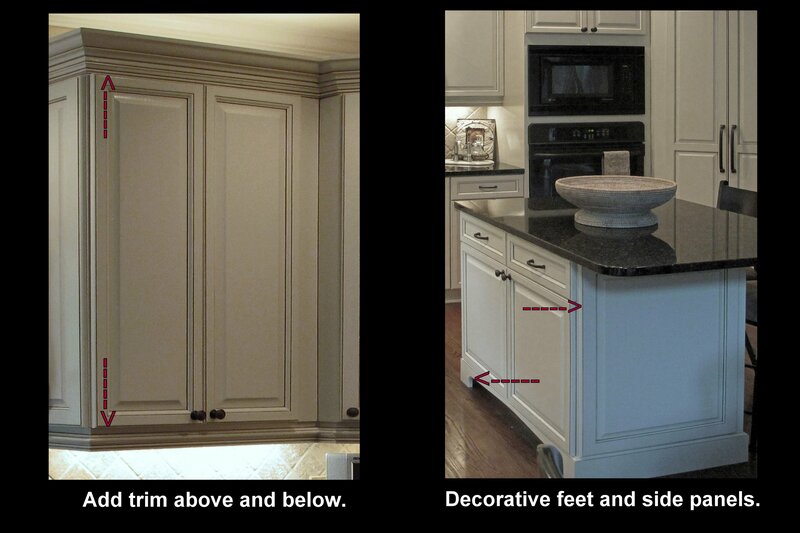 This is when simple details can be added that are usually only found in high end cabinetry. Contractor Jerry McKibben is a master of planning these details. Take a close look at what was done . 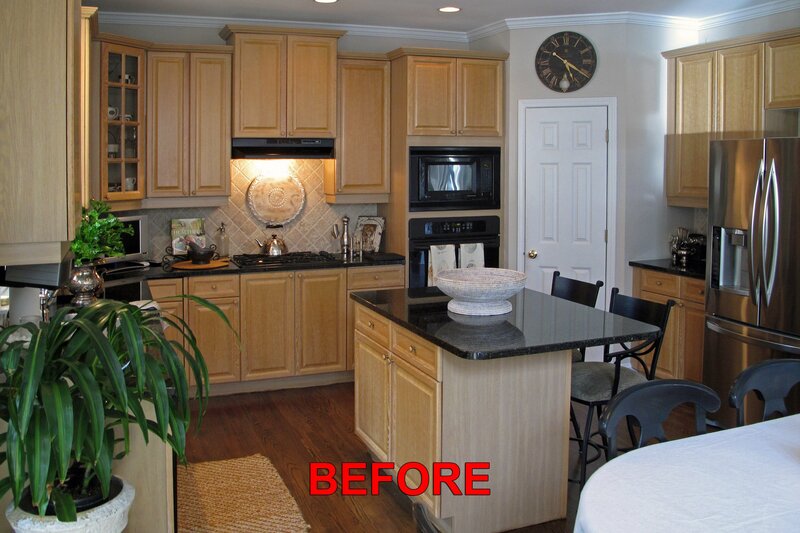 . .
Making a kitchen appear grand takes more than just a change of color. It also incorporates focusing on details of the architecture. Extending the trim to surround the whole kitchen provides a panoramic effect with the illusion of a seamless line of cabinetry. Take a close look at YOUR kitchen. Do you see opportunities to use these ideas? We would appreciate your feedback. Please leave your comments below.